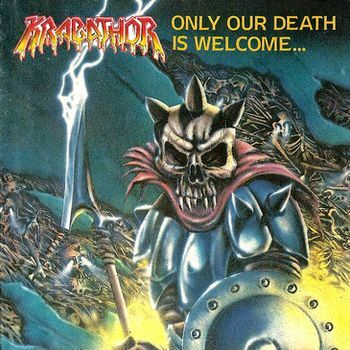 While death metal had it's golden age, the basics of the less popular death/doom style were layed down in the darkest depths of the underground scene. 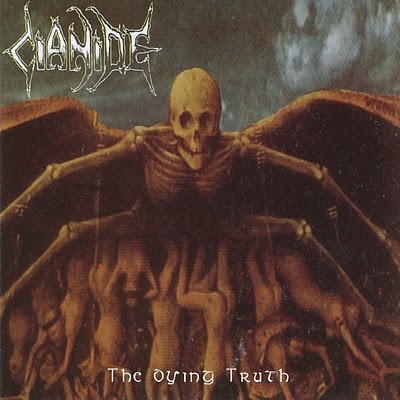 Cianide's "The Dying Truth" is a death/doom masterpiece, and in importance only could be compared to Winter. It's pure, compromise-less and overwhelming heaviness, without any aesthetic or melodic features. There is no escape, no salvation or temporary break, only the inevitable approach of death. Such as Winter, their music could be a perfect example to define the features of death/doom. Heavy, strongly distorted riffs, demoralizing feeling, slow speed occasionally interrupted by fast hammering, deep growling, noisy sound and a very dark atmosphere are the main features of this musical report from the Netherworld. 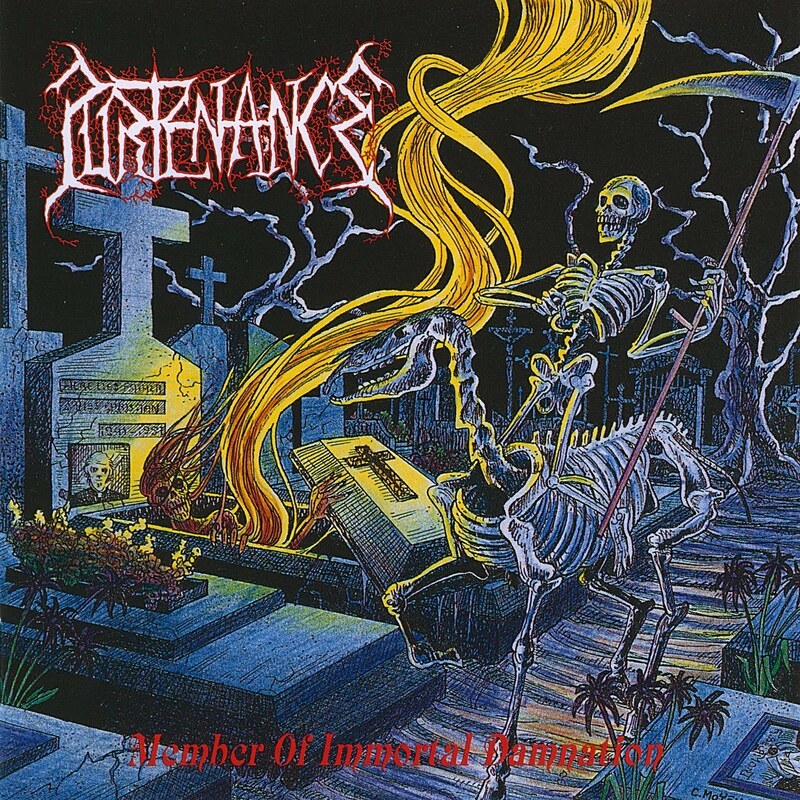 Even though this album is unfortunately underrated, it's an everlasting classic of the genre, that took a remarkable part to determine the basic characteristics of death/doom. Not everyone was so fascinated by the uprising extreme metal waves to follow the same sample in self-expression. Some found other alternative ways to reach the same intensity in music. 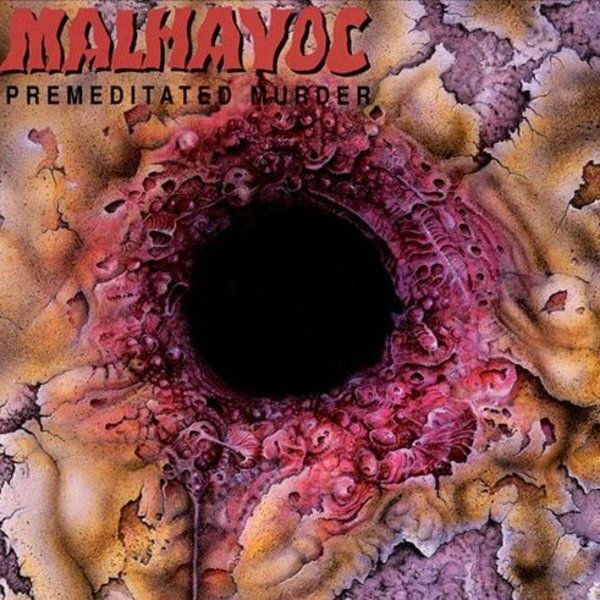 Malhavoc was inspired by thrash metal at the beginning, but soon they turned further into a darker direction of electronic music. 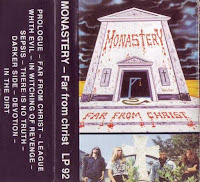 They mixed metal with industrial, which was nothing new since Godflesh and Ministry appeared, but it wasn't a common ambition, nor popular before wider audience. And if the location is Canada, Skinny Puppy have to be mentioned as a possible influence too. Malhavoc went even further than the mentioned other projects and created it's own genuine style with the lyrical concept of sexuality and philosophical, societal topics. 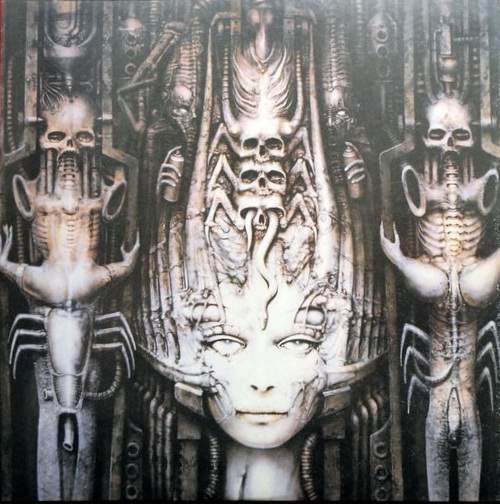 "Premeditated Murder" was the second full-lenght album of the band, which turned closer to ordinary metal compared to the first one. It shows their various influences and a less unifyed view. While the mayor part of the album is more into industrial, some songs referring to the ordinary heavy/thrash influences, and only the artificially distorted vocals are telling that it's the same band. The main view is diversive in feeling and impression, balancing between aggression, self-destruction, sexuality and chaotic randomness as the album goes on. A less known, underrated but extraordinary record of the genre! 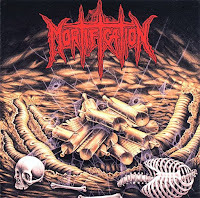 Mortification debuted as a thrash influenced death metal band, but from their second album, "Scrolls of the Megilloth" the thrash influences were almost gone. Instead of those the listener recieves a very intense death metal material with powerful riffings. 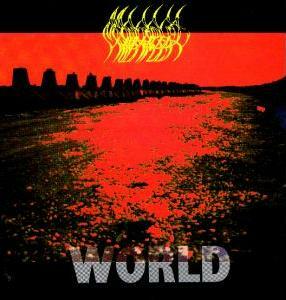 Their second coming showed a better quality both in sound and themes, and only could be compared to the "elite bands" of the genre. Some experimenting ambitions also showed up by common changings in speed, that made the main view more exciting. 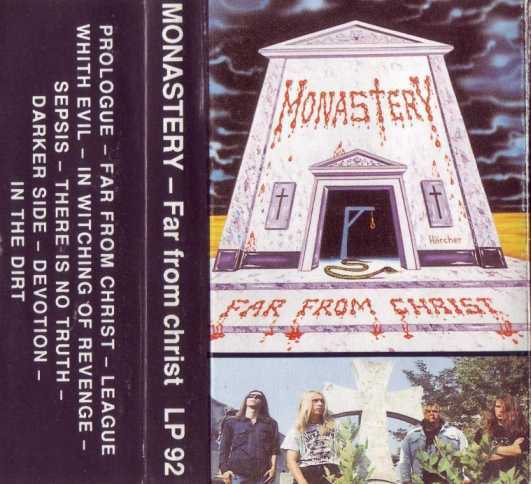 The interesting thing about the band, that while blasphemous lyrics are the most common in this style when it comes to religious topics; they are doubtlessly a Christian death metal band. They built up a whole Christian concept around their lyrical topics, which was probably necessary, cause growling gospels may sound weird. 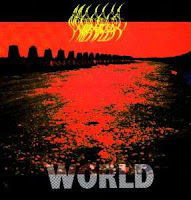 It's something uncommon for real, especially from one of the earliest extreme bands in Australia, but it proved their creativity and turned the genre more colorful. 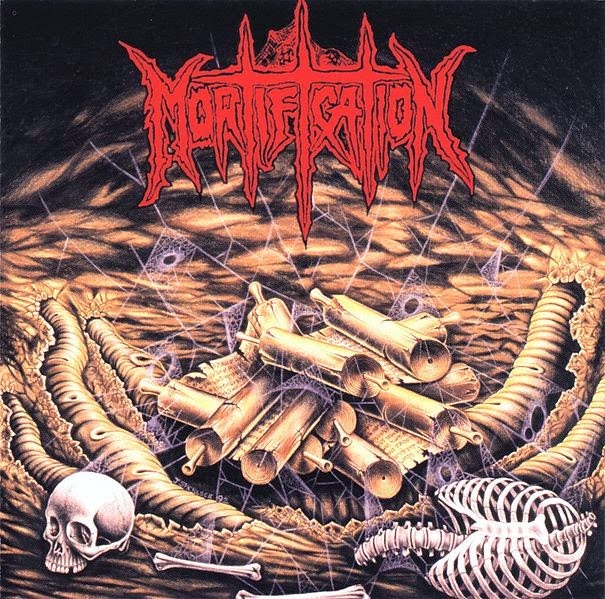 "Scrolls of the Megilloth" is not only an excellent death metal album but probably one of the most brutal aspects of how to love our brethrens. 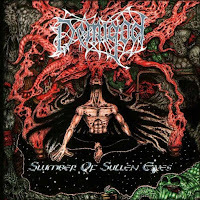 Even though plenty of bands chosed to introduce limitless sickness with their music, not many succeeded on a really impressive level like Disastrous Murmur did with their debut already. Since Pungent Stench similar ambitions were not new in Austria, but while the precursos tried to pile up the most absurd collection of hideous things, Disastrous Murmur found it's passion in pure gore. 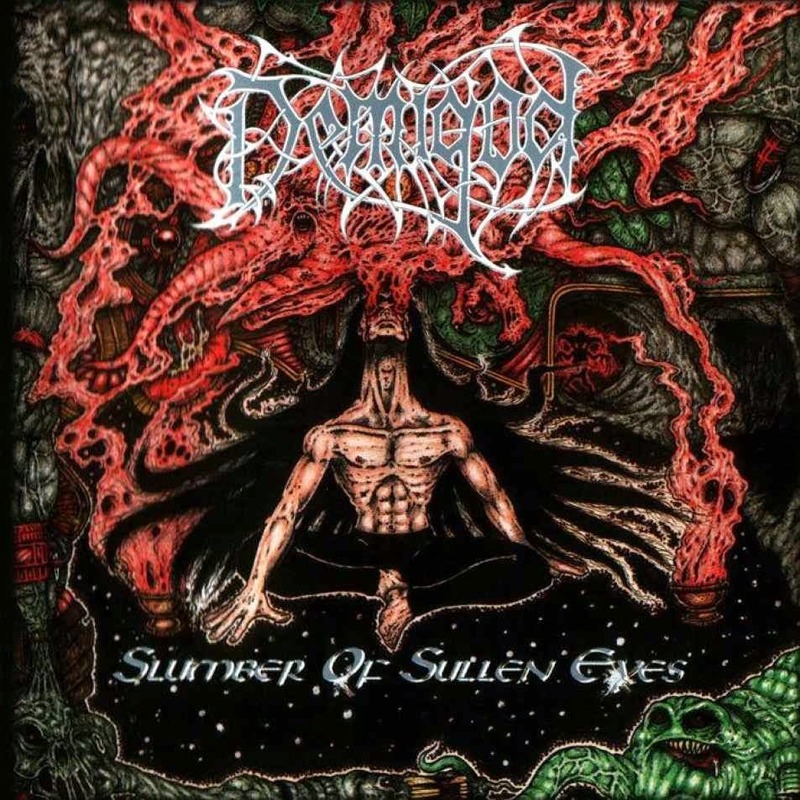 "Rhapsodies in Red" is a masterpiece of the genre in all-round, and could be compared only to the sickness level of Pungent Stench, early Carcass, Cannibal Corpse, Autopsy and Accidental Suicide. 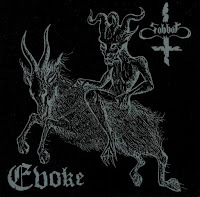 Heavily wretched sounding vocals guiding the listener into the depths of a slaughter pit, where everything was set on for endless suffering and disgust. Simple, but very catchy themes, excellent noisy and dirty sound that's fits to the style well, and intense, diversive, often grindcore styled drumms are the main characteristics of the album. Perfection in sickness, brutality, insanity and all sort of filth. Miasma belongs to the lots of forgotten bands from the early '90s extreme scene. They had only one full-lenght album, and soon they disappeared after the middle of the decade. "Changes" had a catchy and harsh atmoshpere by it's noisy and massive sound. It's a raw album with mostly basic themes, and these are often immature at a few songs and couldn't reach the preferred effect. The main feeling by the sound, the butally deep vocals and the often brutal death-like hammering can compense that weak point. With this comes the endlessly blasphemous concept and lyrics. 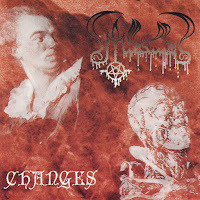 "Changes" was extraordinary because of it's very noisy sound and intensity that gave such a brutal feeling to their music that was remarkable even in those thimes, when extreme metal was all around and bands rivaled with each other who can show up with a more brutal production. Compared to other bands with similar concept (like Acheron or Deicide), Miasma was fit into that imaginary competition. Magnus debuted as a power/thrash band with ordinary heavy metal influences. And as an important founding component of the Polish metal scene in the late '80s. Their sound reached better quality with time and their music became more aggressive, influenced by the progression of the main scene. That means the intensity and and pure aggressiveness of death metal was included, but the concept kept lying on the basics of thrash metal. The previous speed/heavy features still could be found occasionly. "I Was Watching My Death" was already a musically mature album by a well experienced band. The album shows large diversity in themes by balancing on the borderline of genres, and creating one whole from thier different characteristics. And they often end up in insane rampaging of course. Even if this style had no lack of high speed, and playing intense is one of it's most important features, compared to others that time, Magnus reached a remarkable level. A very classy classic from old school times! 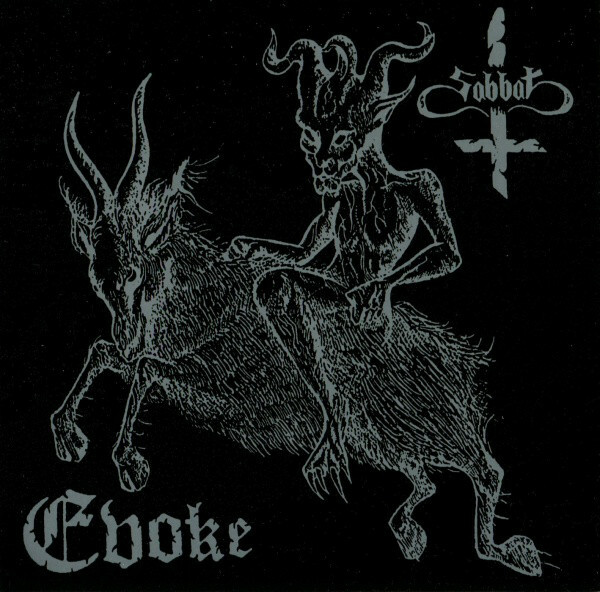 While Root counts as the most permanent local black metal influence in the Czech extreme metal scene, Krabathor had the same role in death metal. The comparison of the two bands is not reasonable only because their names became the most notorious and known in the early '90s, but because both of them took a long and influental role in forming the local scene. "Only Your Death is Welcome" is a thrash influenced old school classic, a remarkable masterpiece that didn't fall behind in any way from the quality and actual musical progression of the main scene. 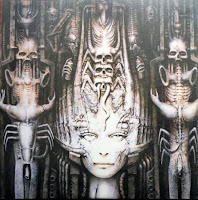 Some older heavy metal references also could be found in the themes, such as occasional experimenting with the atmosphere. Similar small surprises trying the spice up the cruel and rough main impression and turning it more enjoyable. Even though it was only their debut album, it sounded very stunning and mature. It's sick all-in-one, could be compared only to the biggest old school death metal classics. 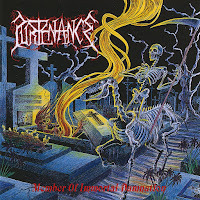 For long Purtenance's "Member of Immortal Damnation" was a less known classic of the Finnish death metal scene. Thanks to the band's regroup several years ago, this album turned back too from the mist of the ancient forgotten records of the genre. 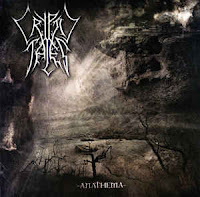 Unlike other death metal classics from Finland, this album lacks the main balance, and partly because of the experimental ambitions, partly because it sounds like the band didn't find it's exact style yet, the album is quite chaothic both in themes and sound. The melodic ambitions of Finnish bands in general are there in occasional atmospheric parts, but they sound like more to serve as some breaks between the intense hammerings. These melodies gave some theatrical impression to the album which is completely disappearing like they shouldn't have any influence as the music turns wilder. It's a quite raw album, and exactly this rawness and the noisy sound gave it's main aggressive feature, not the intensity of the music, because these turning it heavier to listen. A rare and interesting classic from the forgotten tombs of damnation! Mediterranean countries were never front-rankers in metal, and extreme metal is even more rare there to appear, but if it appear, it means something extraordinary. Not because of the location, but the intensity, temper and the brutal feeling that these bands often have. 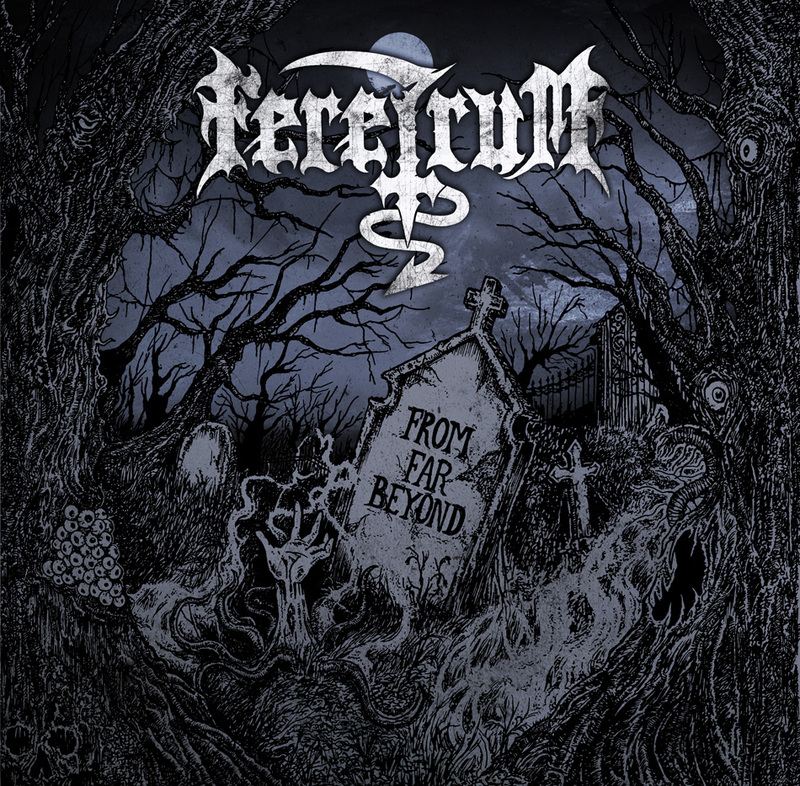 "From Far Beyond" by Feretrum was a barely known and very aggressive album. It's heaviness was based on the very noisy sounding and the raw themes. These both together created a cold and very unfriendly atmosphere, and the quite insane vocal style and the occasional melodies turned the main view into a sick direction. Feretrum didn't show anything revolutionary, but the feeling of their music was impressive and couldn't be compared to anything else that time. It was like some accidental unique mix of raw brutality and sickness. 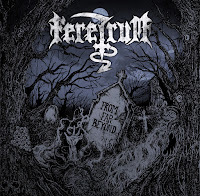 As one of the lots of forgotten old school death metal bands, Feretrum was probably barely known even in it's homeland, because of the very limited number of tape copies they had. 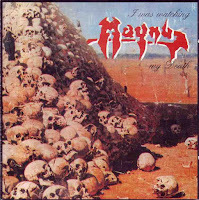 Fortunately few years ago "From Far Beyond" was remastared and re-released, and this deviant, extremely sick album is widely available. Necrophiliac's "Chaopula - Citadel of Mirrors" was an interesting, but sadly underrated event in extreme metal. The concept is gore and the most hideous perversions, but even musically they reached an endlessly sick level. The vocals are reminding to grindcore with their shifting style between wretched sounding cawing and some distorted, almost guttural growling. 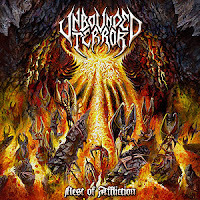 The music is staying behind the borders of death metal meanwhile, but it's more complex and technical in themes than usual, and often very melodic too. Speed changes are also common and sometimes unexpected, but they doesn't made the music completely chaotic, but creating some morbid harmony instead. This unusual mix of diversity turned the album quite heavy and harder to listen for unprepaared ears. 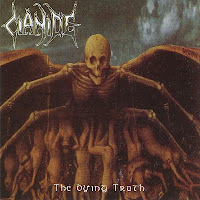 It's certainly one of the sickest deah metal acts alongside old Carcass, Autpsy, Cannibal Corpse and Accidental Suicide. The album is musically closer to old Carcass, but lacks the extreme intensity and it's more focused on the main insane feeling instead. A real masterpiece of musickness!